Good first set, albeit short. Moma and Jim both stretch out in their Type I jams. This Tweezer would be a treat anywhere but it being in the first set makes it even more noteworthy. 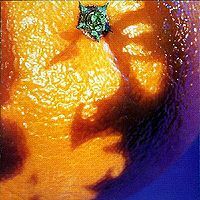 You can draw some parallels between the Radio City Ghost and this jam, with both featuring thick grooves led by some fabulous playing from Mike while Trey hangs back, giving the jam a very chilled vibe and a deliberate pace. Despite sharing these characteristics, this Tweezer does not develop into anything as transcendent as the movement that begins around minute 16 of the Radio City Ghost. In fact it takes several attempts for the band to successfully build off of the central groove, but if you enjoy the journey you'll appreciate this jam very much. The second set suffers from both a lack of jamming and questionable setlist choices. BOAF starts the set off on the right foot but following that up with Bug immediately disrupts the flow. There's a reason the ballad type songs usually come later in the set. My Sweet One is botched but at least it leads to some stage banter. Antelope is a step in the right direction with Trey using his pedals to create some cool swells in the jam, but then we're right back down with Frankie Says, which is a good song but doesn't do the set any favors in this spot. 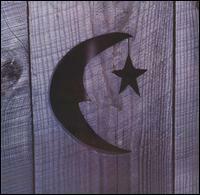 Carini, Squirming Coil, Caspian continues the up and down feel of the set and doesn't allow for any momentum to build. A quadruple encore is nothing to sneeze at and it makes up a bit for the lackluster second set. I had went and picked up some friends and we made the trip to catch the tour opener in tn, and I had tickets for the show at walnut creek in a few days. After getting back to our destination i figuredd i'd chill for a day or so befor making the trek to raeligh when my friend said" why dont you just go to atl im sure if anyone can score ticket you can". So on a whim i left for atlanta for night twos show having never been to lakwood i was in for a shock to find it in the ghetto but i persisted and found a man who was not there for the show with a mail order ticket. I offered him well above face when he informed me he only wanted bud for the ticket. Not wanting to give up the wee bit i had i tried to negotiate, when out of nowhere a friend of mine from back in my second hometown Ironton oh showed up with a backpack full of heady buds. Upon meeting and greeting in 20 secs flat he saw my issue and told the old feller he couldent do that to me at which point I saw my move, sapped the cash in the mans hand and took the ticket all in one swift move, trust me he was not cheated nor was he robbed. Later I found he pulled out two more tickets and made the trade with my friend. I went into the show with a smile that could light the world. Having been ten year since I remember the show being awsome the tweezer was nearly 30 min. long and toward the end got really really out there I met some really cool girls that were in raeligh the next show working for burts beeswax passing out free lip balm, I have and will forever be a fan of burts since. Ihave never really heard much mentioned about this show but to me it was steller from the moma opener to the guyute encore hope this little tale has intrested some more a life review than that of a show, but the expirence as a whole matters to me. This was my second show, from two in a row at Lakewood that year. I had a ticket for Tennessee the night before but everybody's car was packed and I couldn't drive. 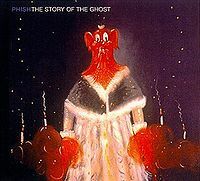 I had only become really aware of Phish and started listening to them after The Story of the Ghost came out in Fall 1998. I quickly bought all the studio albums and it wasn't long 'til I was trading tapes. Mostly receiving B&Ps and I thank the people who did that. The Internet was friendlier at the time; RMP was a far cry from today's PT and even phish.net reviews with their missing the point and denying people the right to hold opinions. I remember being really pleased with the Moma opener. This looks back to the night before (6/23/00) but I remember when they started up Bouncing a lot of people around me moaned. I wasn't jaded enough to mislike Bouncing yet so I just found it ironical. The Tweezer: the main thing I was thinking about was how it was almost as long as the one on A Live One. Don't remember the Rider tease but I got into the Dead after Phish. Really psyched to hear BOAF open the second set. Bug put me in a really reflective mood, since (as some phans agree) I think the song is partly about the Y2K fear and really any pre-millennial tension. I really enjoyed Frankie Says. I got a bit uptight during Carini because one of our crew had just arrived and well, someone was hogging my new bowl from the lot. 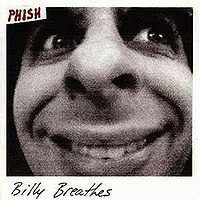 Excellent encore: Guyute is the only Phish song even now I can capably pull off on electric guitar so I look back fondly. Driver was a really nice moment, everyone was kinda just floaty and blissful. I kinda burst my own bubble open by overindulging in psychedelics so I don't know if I'll ever see Phish live again. 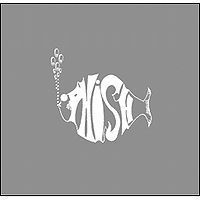 I still continue to pre-order the LivePhish MP3s and listen next day to every show. Everyone I met at these two Lakewood '00 shows was really friendly, but maybe I've been spending too much time on PT where everything is always negative. The idea of playing smaller venues appeals to me but I'd like some indoor Fall Phish without having to travel too far. Good show, for 2000, for 1.0, for Phish. Big fat bomb of a Tweezer here. One of 2000's highlights to be sure. 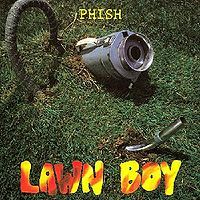 I've been to around 30 or so Phish shows and this show continues to be neglected or completely forgotten. We got the beautiful rarity “Strange Design”. I had just been talking about this song with a friend on the way up and Phish by cosmic mind manipulation pulled it out just for me. It usually happens that way at a good show. There are plenty of silly details that made this particular show stellar, such as my friend losing his shoes and getting very confused when, in “Cavern”, Trey shouted louder than usual, "Whatever you do take care of your shoes!"